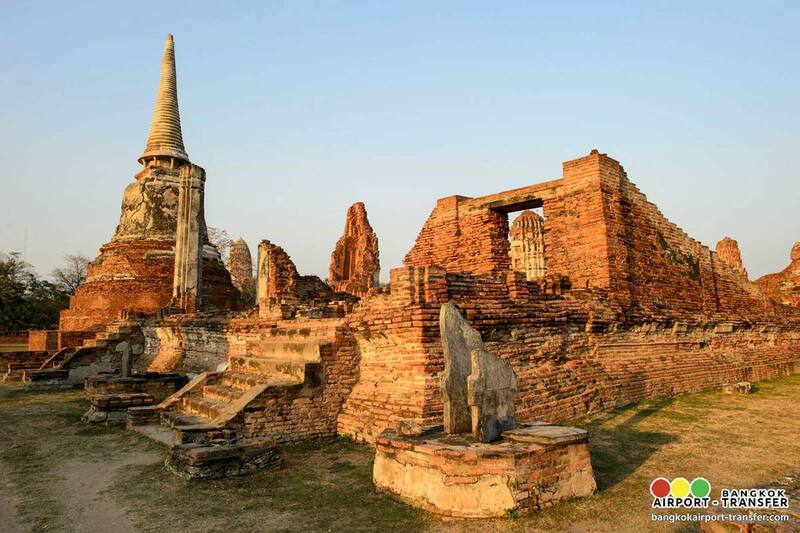 10:00 Visit Wat Yai Chaimongkhon, one can see the large pagodas, built to celebrate the victory of his single-handed combat on the elephant’s back during Ayutthaya capital. 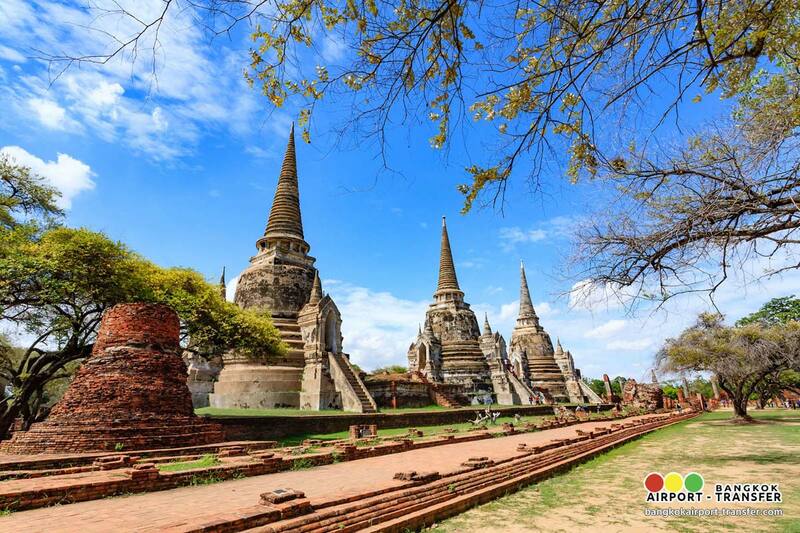 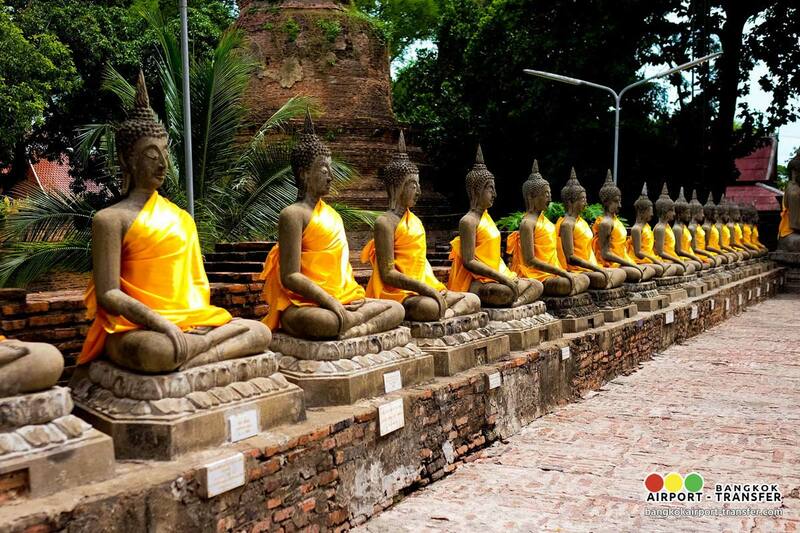 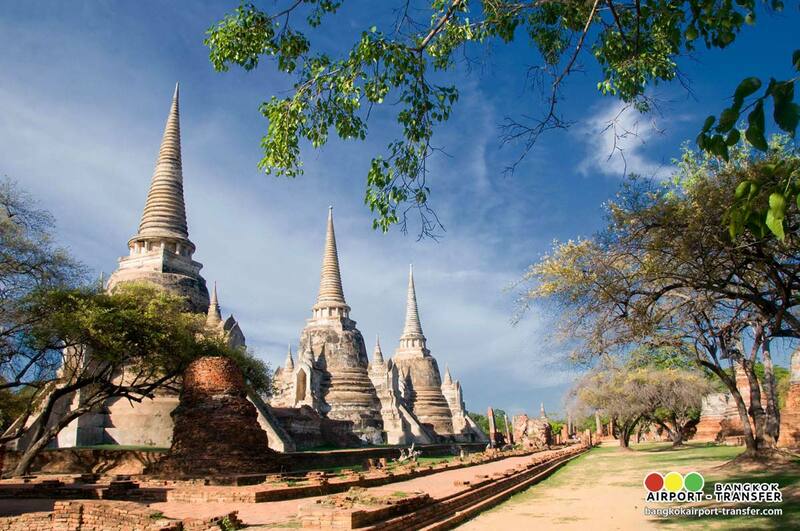 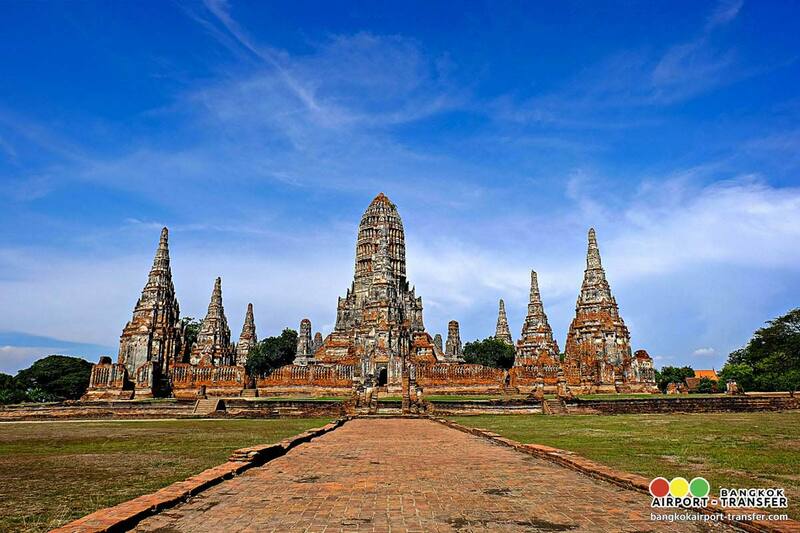 11:00 Visit Wat Maha That – the Heart and Soul of City From Artifacts and the style of the Pagoda, we believe that Wat Maha That was built before the Ayutthaya Period or around the 14th Century. One of the images which were excavated by the Fine Art Department was a Buddha Image in the Sitting Attitude (sitting with drop down legs). 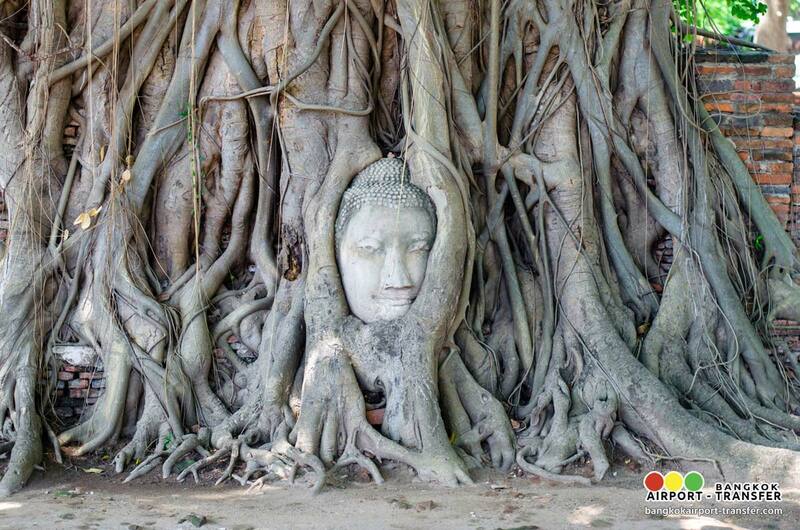 This image belonged to the Lopburi Period. The Pagodas are from the Bayon Style or Bayon Period (compared to Khmer culture) which are built with laterite. 13:00 Visit Wat Phra Si Sanphet. 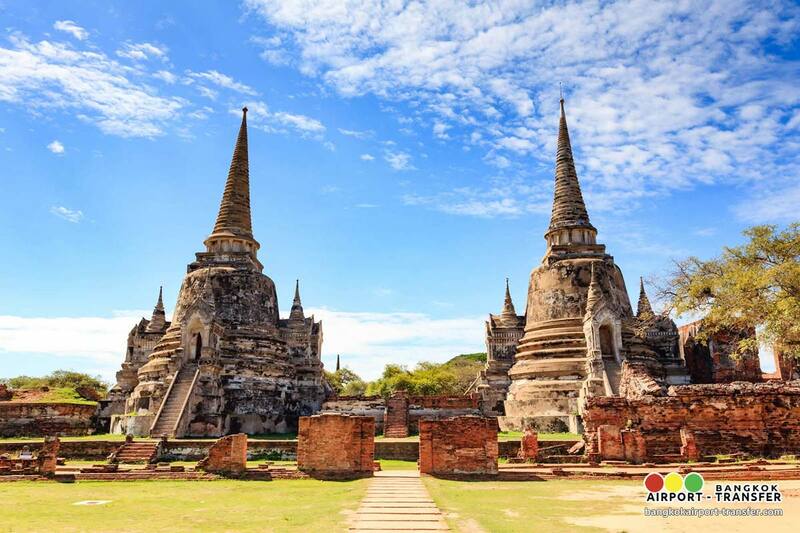 This is the most important temple within the Royal Palace compound and the original from which the Temple of Emerald Buddha in Bangkok has been copied. 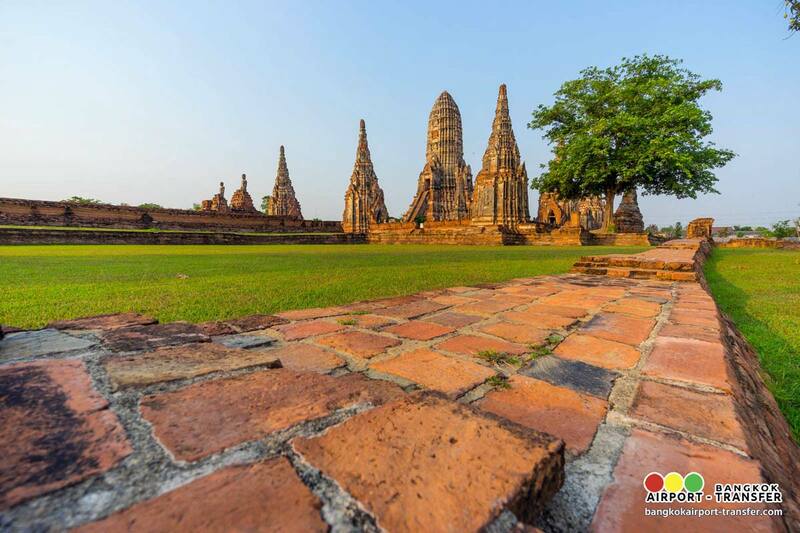 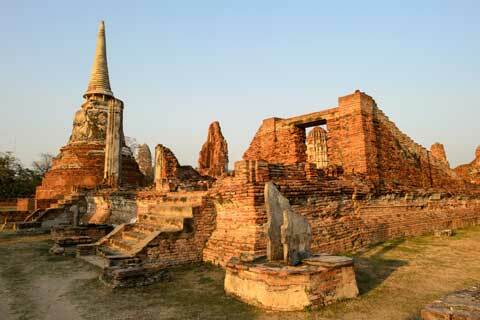 Three outstanding Ceylonese style pagodas were built during the 15th century to enshrine the ashes of three Ayutthaya Kings. 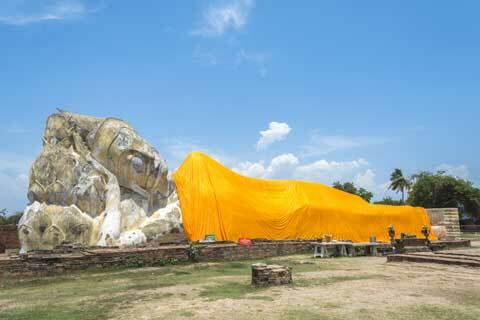 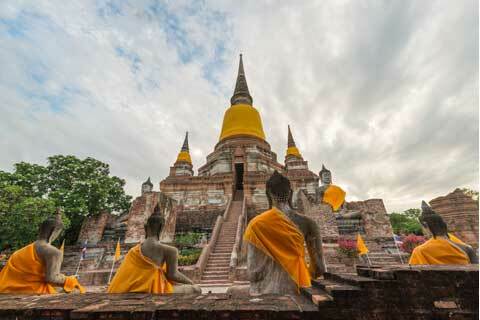 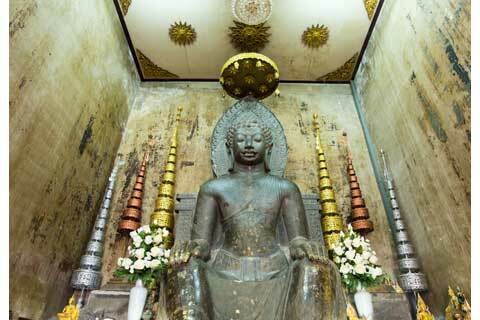 Then, Visit Wihan Phra Mongkhon Bophit . 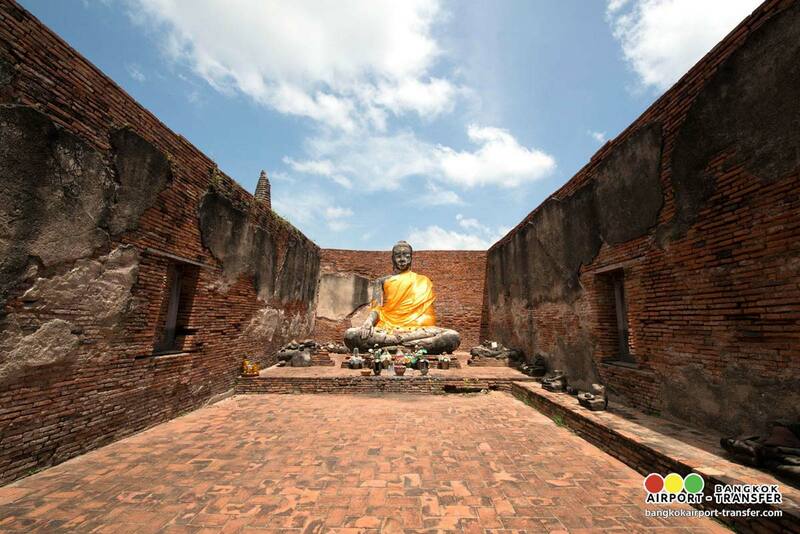 Phra Mongkhon Bophit, a large bronze cast Buddha image was originally enshrined in the open area outside the Grand Palace and later covered by a building in the reign of king Songtham. 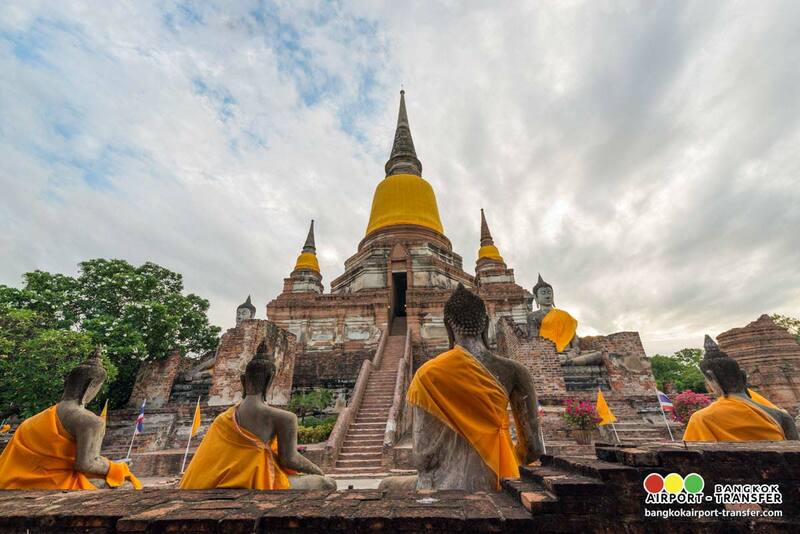 14:00 Visit Wat Chaiwatthanaram, one of the most imposing ancient Buddhist monasteries, was established by the command of King Prasatthong in 1630 A.D. It is believed that the wat is located on the site of his former home. The reason for building this monastery was to make merit for his mother. 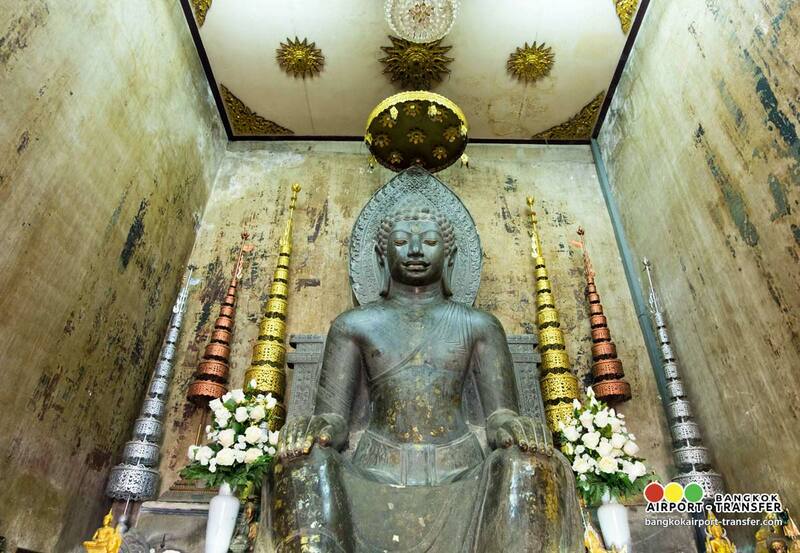 Prince Damrong Rachanuphap noted that its architecture was similar to that of Angkor Wat and inferred that the temple might have been built to commemorate the king’s victory over Cambodia. Personal expenses such as drinks etc.